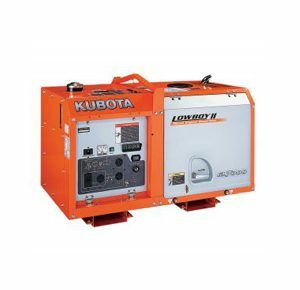 Kubota Generators GL Series | Northern Power Products Inc.
Kubota’s Generators Are Built To Withstand The Rigors Of The Job. 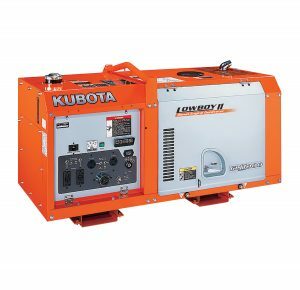 Reliable and dependable, Kubota generators will provide years of service. If you are looking for a small, compact, quiet diesel generator, look no further. Available in three sizes: 7 kW, 11 kW and 14 kW . 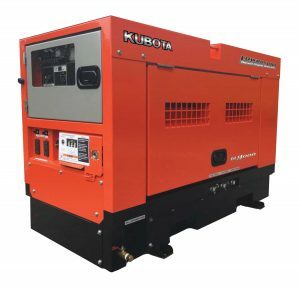 Kubota generators are powered by Kubota’s reliable two and three cylinder diesel engines. The LOWBOY II Series is designed to have the minimum possible height while using a vertical diesel engine. They achieve this by direct coupling of the engine crankshaft with the cooling fan. Since they require less space for operation, the range of possible applications has been greatly increased. 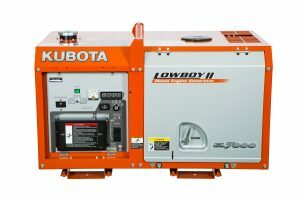 All Kubota generators have a one-point lifting eye on top and slots in the base for moving with a forklift. Additionally, an optional wheel kit is available for the GL7000 & GL11000 models (see Generator Accessories for part number). To get the longest life out of your Kubota generator make sure and stick to the maintenance schedule found in your Operators Manual provided with the generator. Single side serving makes your job easier. From draining the oil to changing the oil or fuel filter. All can be done on the same side. The terminal version (TM) of the GL7000 and GL11000 are usually used in situations where the unit with be stationery most of the time (i.e. standby generator for a construction trailer) and is typically hard wired to an electrical box. The GL14000 comes with both the terminals and receptacles complete in one package rather than two separate units.